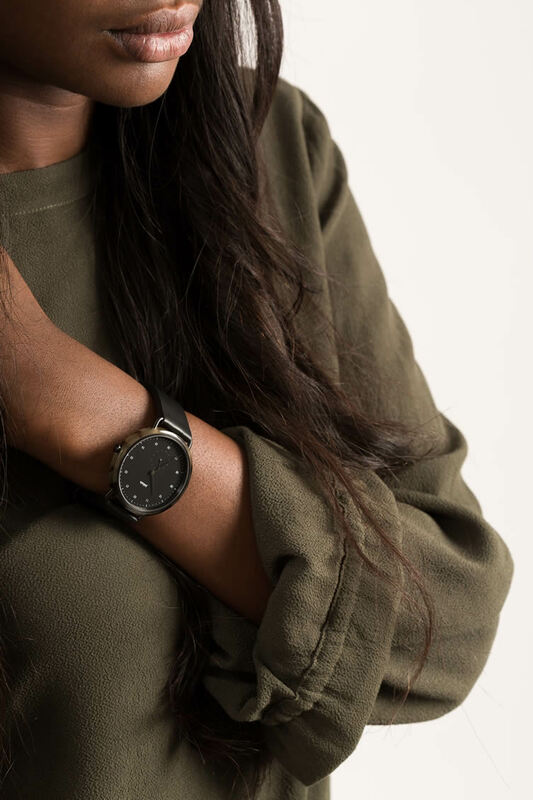 Antwerp-based​ ​designers ​Jeroen​ ​Depuydt​ ​and​ ​Nicolas​ ​Faes have created a fine collection of unisex timepieces together; combining strong lines, quality build, and some top-notch craftsmanship alongside an innovative use of materiality. 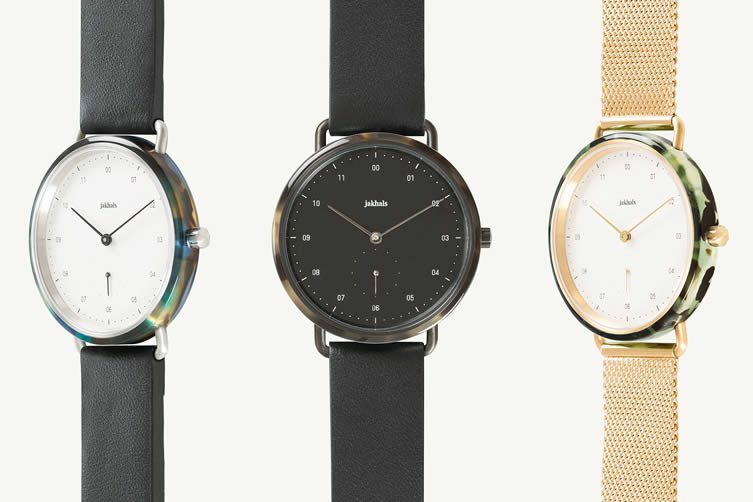 Released in May of this year under the duo’s brand name Jakhals, the line consists of eight handsome watches that feature ​​hand-crafted​ ​cellulose acetate​ ​by family-owned company Italian Mazzucchelli​ ​1849, the sort of material famous for giving tortoise shell sunglasses their distinctive look; each piece given an entirely one-off look by the serendipitous manufacturing process of acetate sheets. 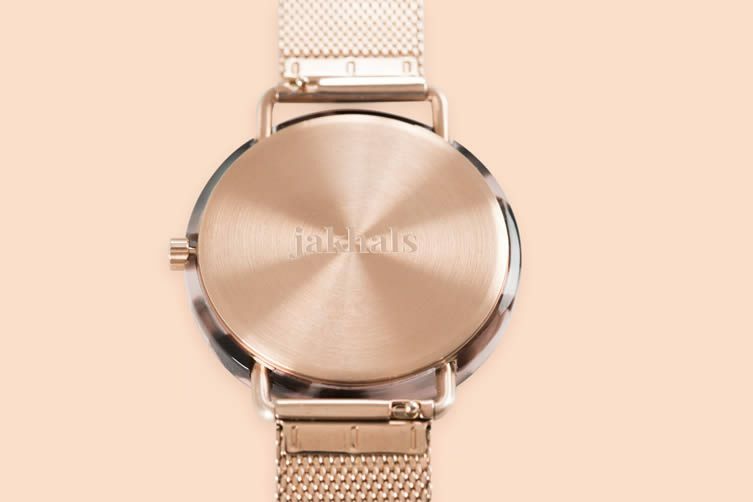 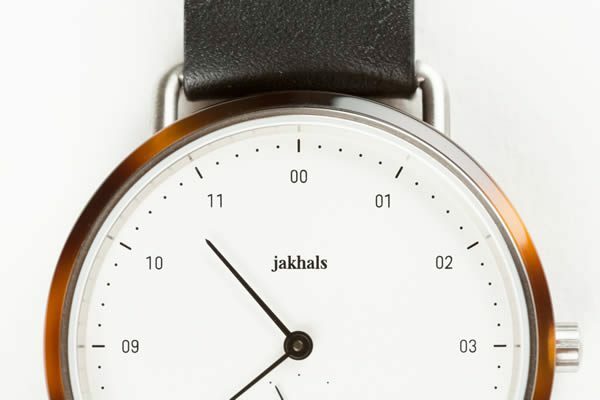 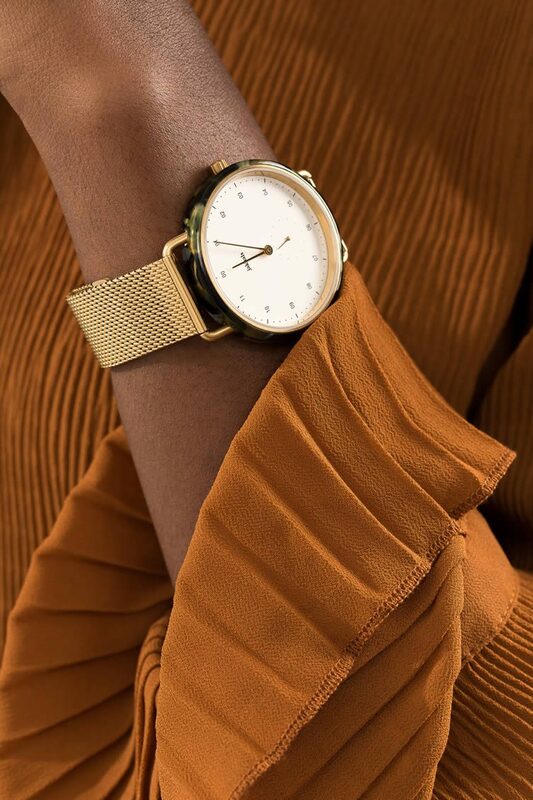 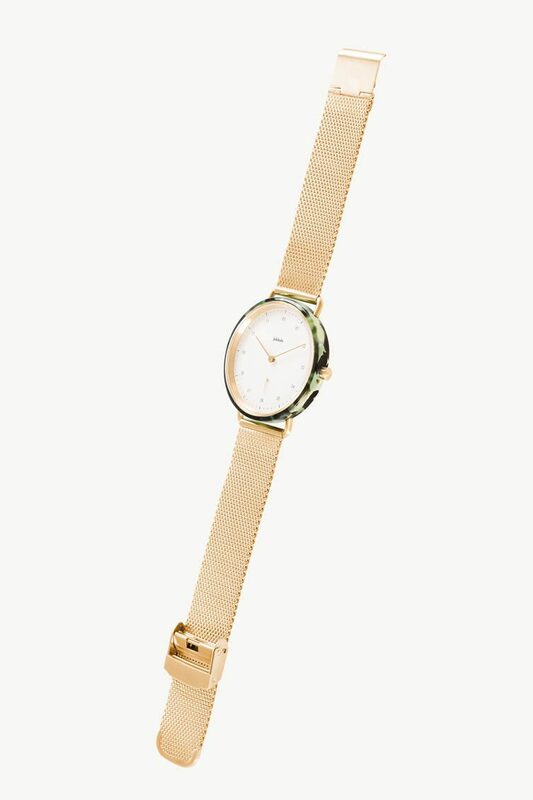 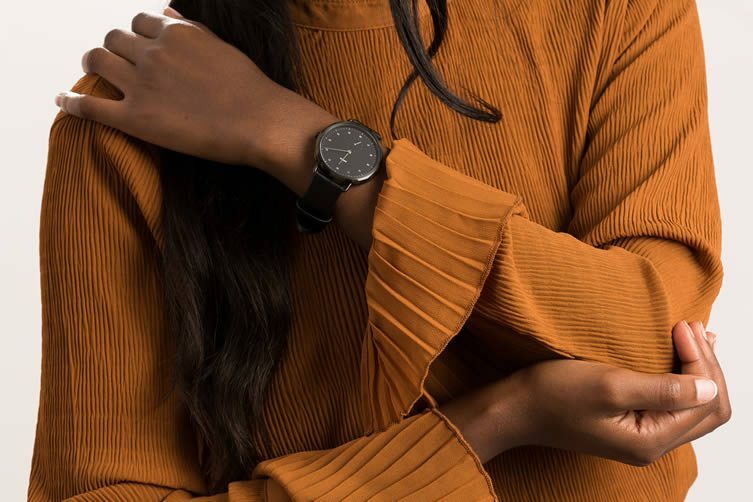 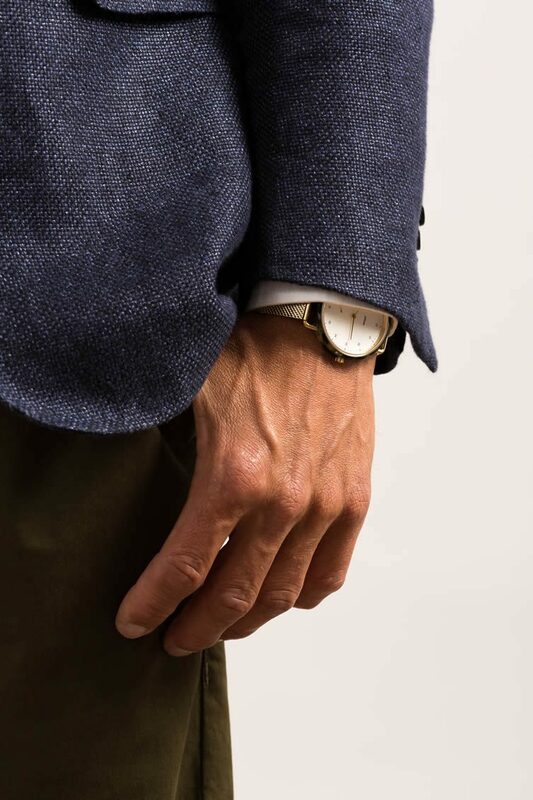 Minimalist in aesthetic with delicate hands and numbers, Jakhals’ are watches designed to age with you. 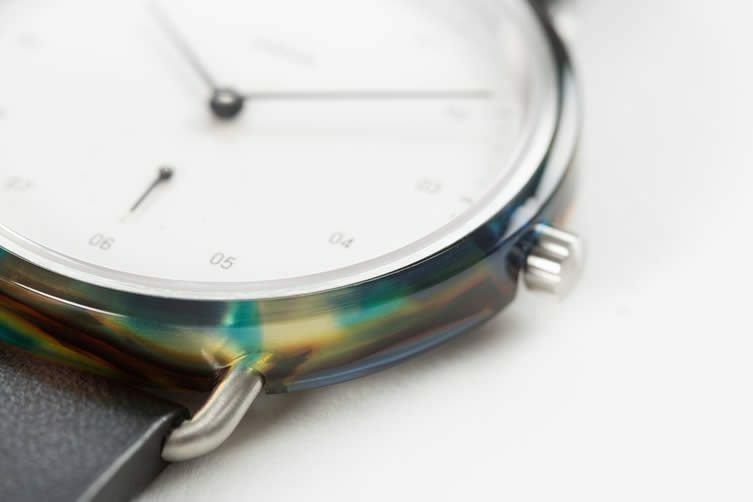 Each face is covered​ ​with​ ​a scratch​ ​resistant​ ​and​ ​clear​ ​sapphire​ ​crystal​ ​glass, and the case made of ​brushed​ ​stainless​ ​steel, a material that creates an​ ​interesting​ ​contrast​ ​with​ ​the​ ​polished​ ​acetate​ ​edge​ ​that surrounds​ ​the metal; choose between ​vegetable​ ​tanned leather​​ ​or​ ​Milanese​ ​straps to personalise and complete the overall look. 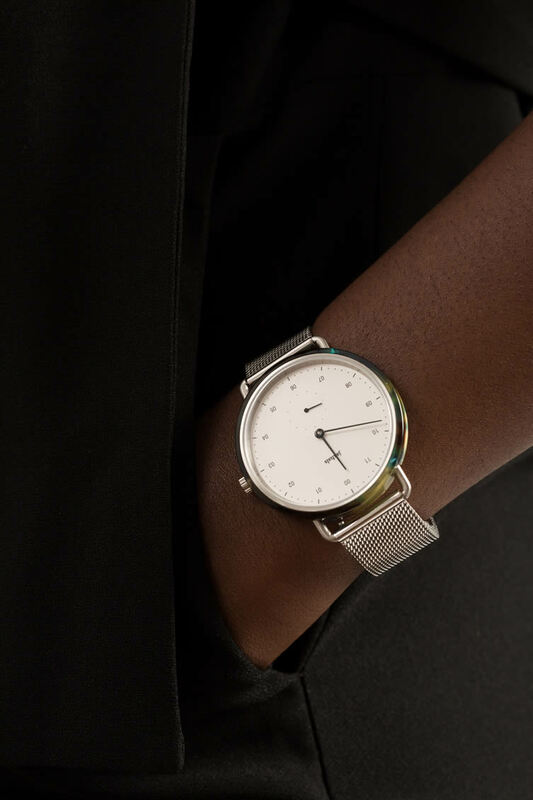 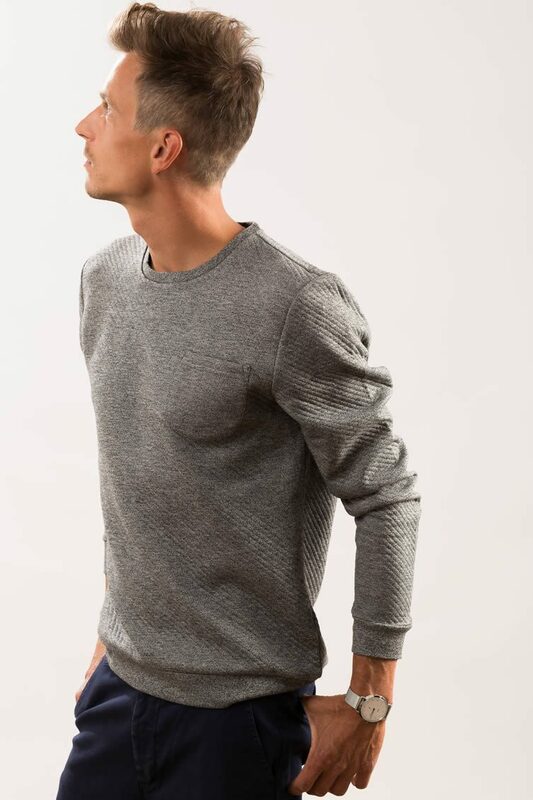 Depuydt and Faes’ restrained approach, elevated by their intelligent touch with materials, makes for a burgeoning brand with some serious design chops — expect to see more from these talented Antwerpers.